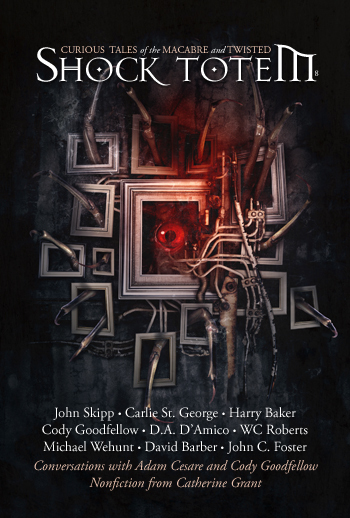 I have reviewed all of the chapbooks that Spectral Press has issued, and all with a hearty dose of favor. I seem to recall stating in an earlier review that the Spectral line of chapbooks seem to share an unspoken theme of loss and haunted lives. Upon reading the latest two, I still hold that opinion. 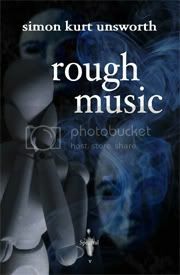 Simon Kurt Unsworth delivers a strangely bleak tale in Rough Music. The title comes from a folk term for the din created by a concert of ragged instruments such as tin pans, bells and horns, often used to embarrass someone. The story begins with a man being awakened in the night to the cacophonous sounds of a lone drummer—a mysterious man literally banging away on a pot with a spoon. No one else seems to be bothered by the raucous symphony and our main character dismisses it as his imagination. He feels tension from his wife and his neighbors, as well as a heavy yoke of paranoia and guilt. As the week rolls on, the nocturnal orchestra continues its nightly performances, growing in its membership until it reaches a crescendo that is both literal and metaphorical. 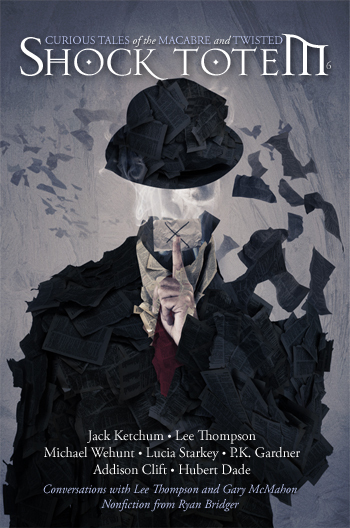 Unsworth spins a fine tale that weaves a thick thread of unsettling dread into seemingly everyday occurrences. His prose is easy and smooth. I will look forward to reading more of his work. I had heard of Alison Littlewood but had been unfamiliar with her work. 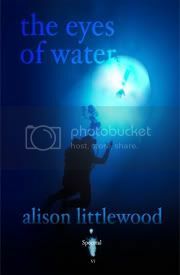 I must be honest, The Eyes of Water did not woo me as much as the other Spectral books have. Most likely just a matter of taste. It is well written and not necessarily a bad story, I just did not seem to connect with it as I did the others. The story takes place in the Mexican cenotes, a collection of flooded caves. Alex meets an old friend of his while traveling. The chance meeting is followed shortly by tragedy and then by strange events. There are ominous warnings from the locals and creepy visitations in the night from the departed. The stories conclusion is not one that I expected. There is a lot going on in this tale: caves, diving, jealousy, sacrifice, death and dread. Maybe that was part of the problem I had with it—it seemed too cramped. A small meal with far too many flavors and fragrances that it just became cloying and overpowering. I still stand by my assessment that Spectral Press is a great small-press entity and that they put out high-quality fiction. Spectral Big Kahuna, Simon Marshall-Jones, knows what he likes and he knows how to pick ‘em. I eagerly await the next chapbook. And statistically speaking, if one out of six chapbooks failed to get me giddy…those are not bad odds. Simon Marshall-Jones’s Spectral Press is setting itself up as a force to be reckoned with. Spectral releases limited-edition, professionally-designed chapbooks. I reviewed the first two releases last year. Both shared a theme of loss, guilt, and coping with that loss. So it’s no surprise that the next two titles in the catalog share a theme, as well. 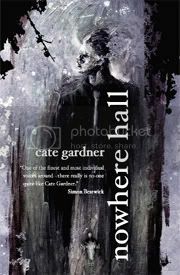 The third published title from Spectral is Nowhere Hall, by the wonderful Cate Gardner. 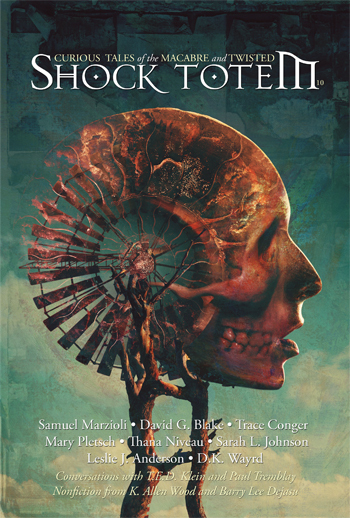 I was familiar with her quirky style and prose from her connection to Shock Totem (her story “Pretty Little Ghouls” was featured in issue #2). 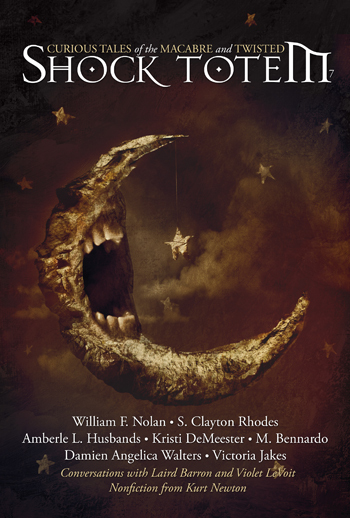 Nowhere Hall follows the bizarre adventures of Ron, a man who seems to teeter on the edge, both courting and fleeing from Death. He ends up in a dilapidated hotel, peopled with odd mannequins and living shadows. Ron plays cat and mouse with Death and learns the power of a good umbrella. A more whimsical one-man version of The Shining through the looking-glass. The visuals are strong, and though sometimes the prose gets a bit coiled and confusing at times, there is a lot to process here. Incredible descriptions and a depressing mood ooze from the pages. Were I not already a fan of Cate’s work, this would be a step toward winning me over. 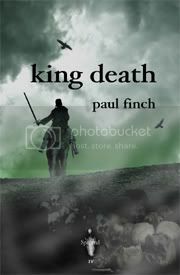 The next release was Paul Finch’s King Death, a daring story set in 1348. A plague-battered England is a smorgasbord for Rodric, a morally bankrupt looter and opportunist. He trolls the countryside stealing from the dead. As he roams, he encounters a strange young boy and presents himself as King Death in order to scare the boy into leading him to his estate, where he envisions wealth and shelter. The boy does in fact lead him to his manor, and it is here where things begin to turn, where Rodric learns things are not always as they appear and that Death is, in fact, an entity that is best not toyed with. Incredibly deft writing is what makes this story so enjoyable. These types of tales, set in this period are usually dry as hell and leave the reader frustrated at trying to decipher what they just read. Finch tells his tale with ease and in a way that flows smoothly. 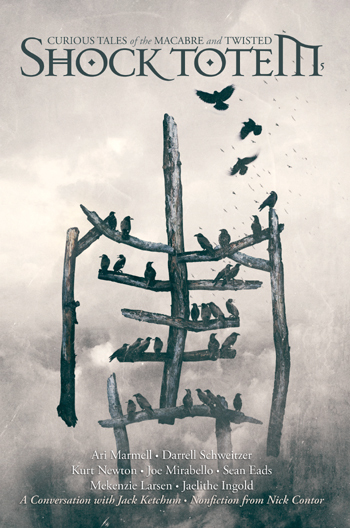 The few characters are strong and the atmosphere presented is bleak and hopeless. So far, Simon and Spectral Press are four for four, and I can’t wait to read what comes next.